An old-school trend which has recently been gaining popularity, is going off the grid at lease once a month to focus on your short and long term goals for effective planning. Many lifestyle gurus swear by this method of monthly planning, using just a pen and paper to create concrete action items which will get you closer to any target you’ve set up for yourself. Although Any.do comes with everything needed to get your productivity going, we can understand why some people find a hard copy of their monthly plans a motivational item to keep them on track. We also agree that there can be added value to zoning-out once a month to prepare for what’s yet to come. 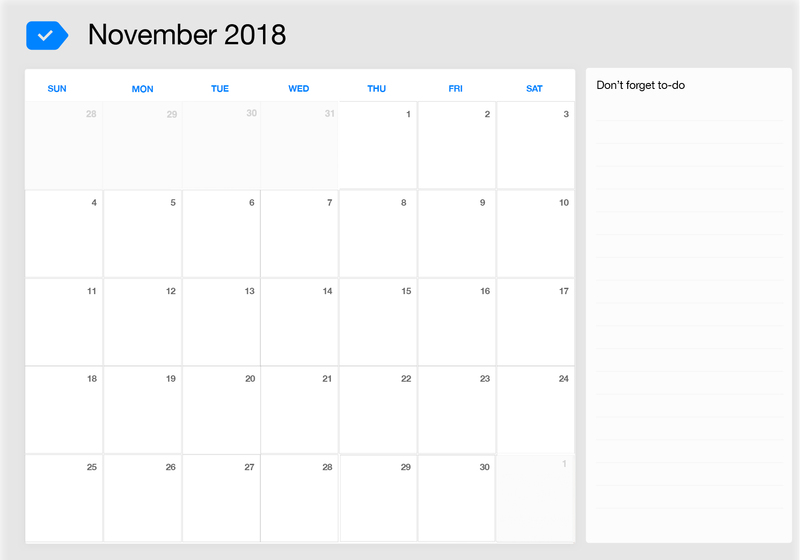 This is why we’ve decided to give our users FREE printable calendar-layouts to easily jot down an outline of their monthly agendas, using minimal or colourful background options. Once preparations are over, it’s easy to break-down any action items using Any.do – creating a solid plan to get things done. 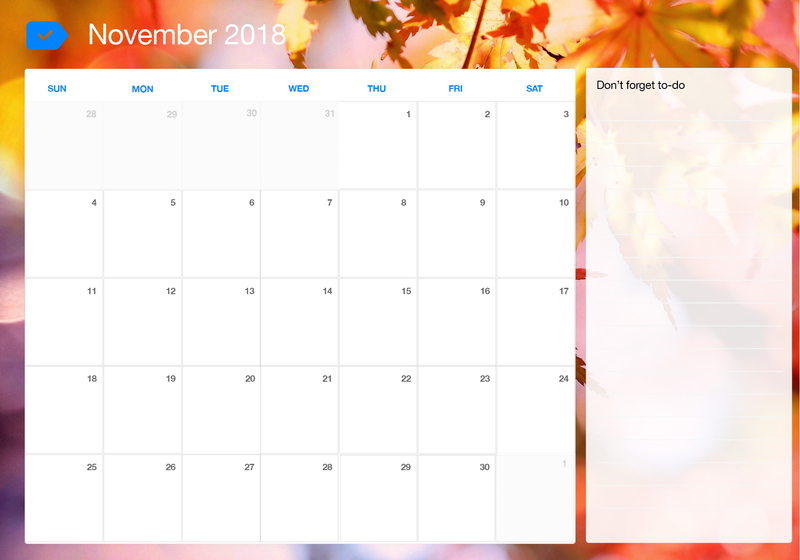 Starting off with November’s printable calendar – you too can enjoy the benefit of having both a visual monthly overview, alongside a detailed plan of your to-dos and events in your Any.do app. With the holidays just around the corner and the end of the year approaching, November is a busy busy month for most people. Around the world, shopping centres and stores are already offering major discounts for your Christmas shopping, making it the perfect time to get your wish-list in order. With Chinese Singles Day, Black Friday and Cyber Monday ahead, November is THE month to get your holiday shopping done. Keep up with these and other important events/tasks you need to accomplish, in one of the printable options found below. Use Any.do’s Grocery List and in-app Calendar View to break down your action items into sustainable goals and view any other commitments from your integrated calendars, to get through this month in ease. Highlight November 11th for Chinese Singles Day discount. Highlight November 12th for Veterans Day. Complete Thanksgiving grocery shopping in time. Make a list of everything you’re thankful for this year. Highlight November 22nd for Thanksgiving Day. Search ahead discounted items on your wish-list for best prices. Highlight November 23rd for Black Friday Discounts. Highlight November 26th for Cyber Monday Discounts.